This Glasgow wall sticker is a Duke of Wellington decal, the famous statue in Royal Exchange Square, Glasgow, Scotland. The Scottish wall sticker highlights the humour of the people of Glasgow who have over the years continuously placed a traffic cone on the statue´s head. After always having to take the cone off of the statue´s head, the government eventually gave up. Therefore, the people of Glasgow won, and as the slogan goes "People Make Glasgow". 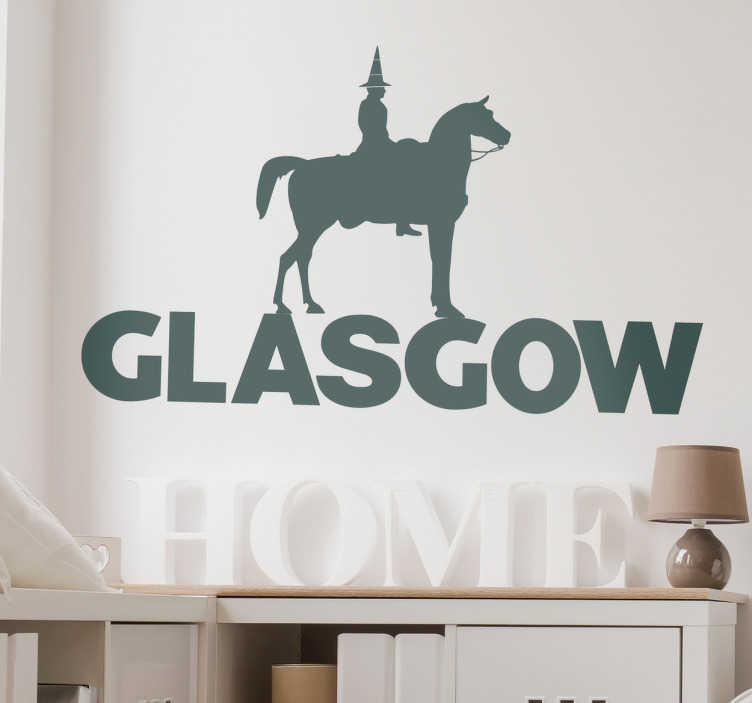 The Glasgow wall decal can be applied anywhere in your home to remind you of the great city of Glasgow and its individuality, creating an atmosphere of warmth. You have your pick of sizes of the Duke Of Wellington sticker that you would like.